Unit Text: 270 Bty., 77 Lt. A.A. Regt. Additional information: Husband of Mary Salton, of Edinburgh. Grave/Memorial Reference: Sec. N. Grave 306. 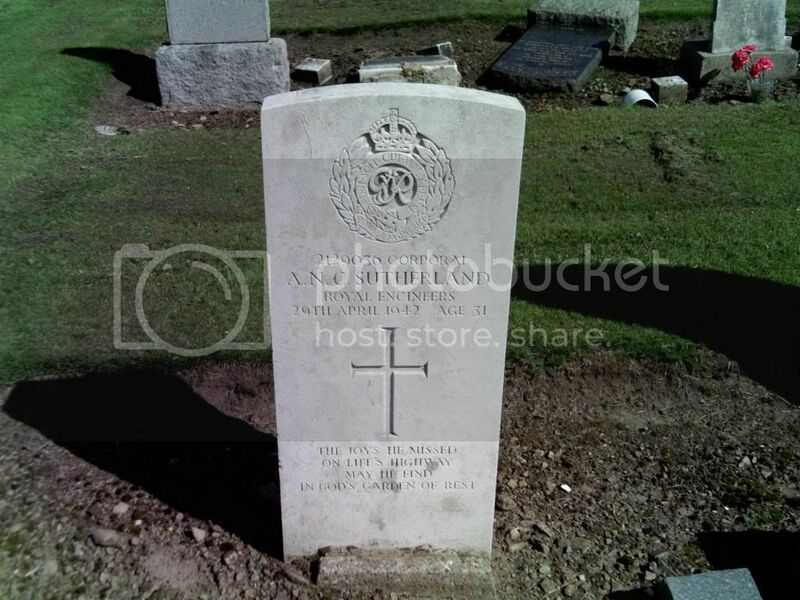 Additional information: Son of Baillie and Margaret Scott; husband of Margaret Scott, of Craigmillar, Edinburgh. Grave/Memorial Reference: Sec. U. Grave 248. 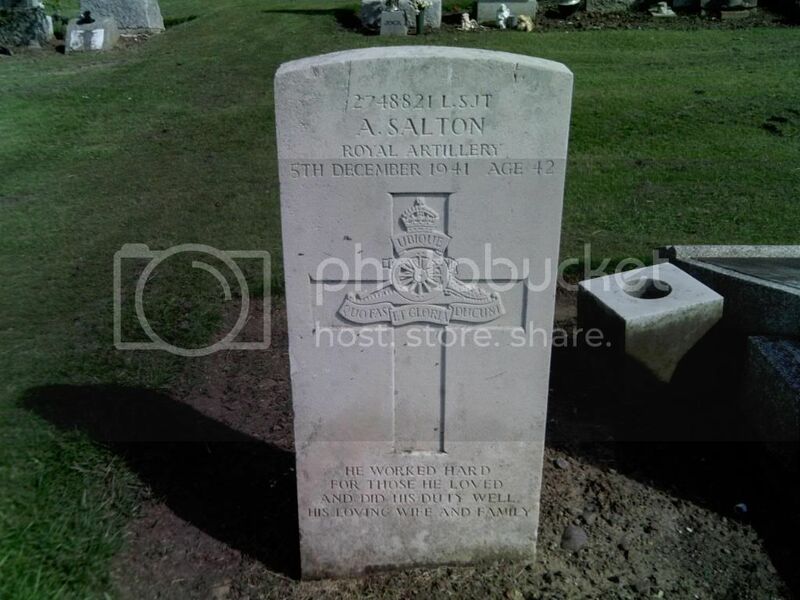 Additional information: Son of Albert Henry and Alice Shelton; husband of Isabella Shelton, of Edinburgh. Grave/Memorial Reference: Sec. T. Grave 73. Additional information: Son of David and Margaret Slight, of Edinburgh; husband of Mary Slight, of Craigmillar, Edinburgh. Grave/Memorial Reference: Sec. N. Grave 358. Additional information: Son of William Cox Sutherland and Marion Noble Sutherland; husband of May Sutherland. Grave/Memorial Reference: Sec. N. Grave 108. Additional information: Son of James and Elizabeth N. Watt, of Edinburgh. Grave/Memorial Reference: Sec. O. Grave 162. Additional information: Son of William and Gertrude Whitelaw, of Nairn; husband of Winifred Whitelaw, of Monkland, Nairn. Unit Text: H.M.S. Night Rider. 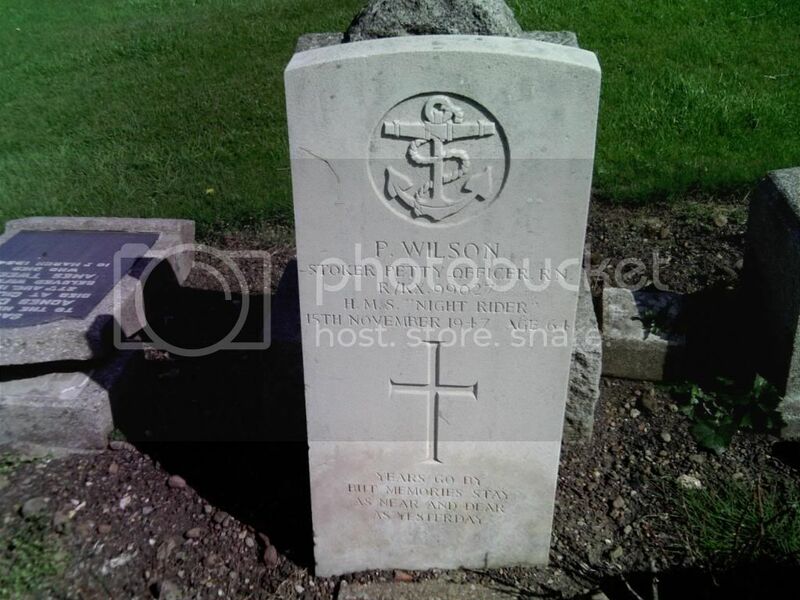 Additional information: Son of Peter and Helen Wilson; husband of Mary Wilson, of Edinburgh. Grave/Memorial Reference: Sec. U. Grave 282. 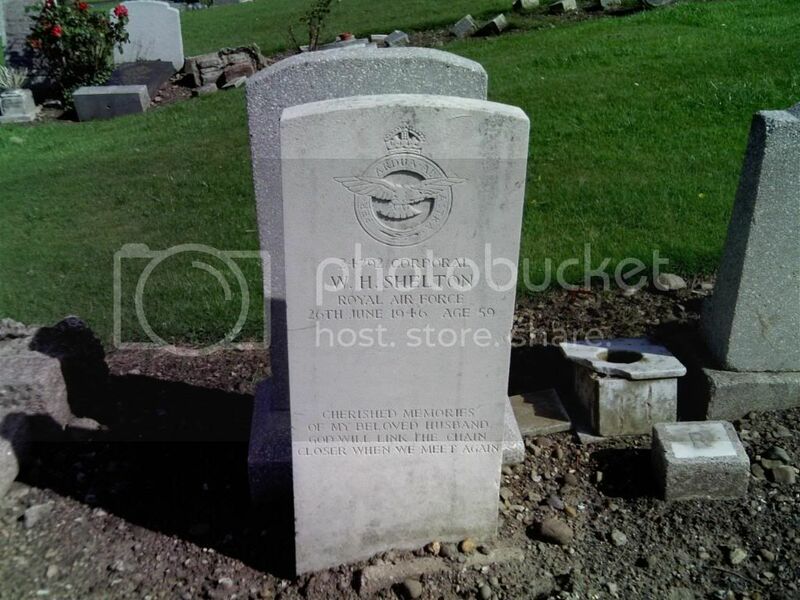 Additional information: Son of Robert and Margarete Windsor, of Edinburgh. 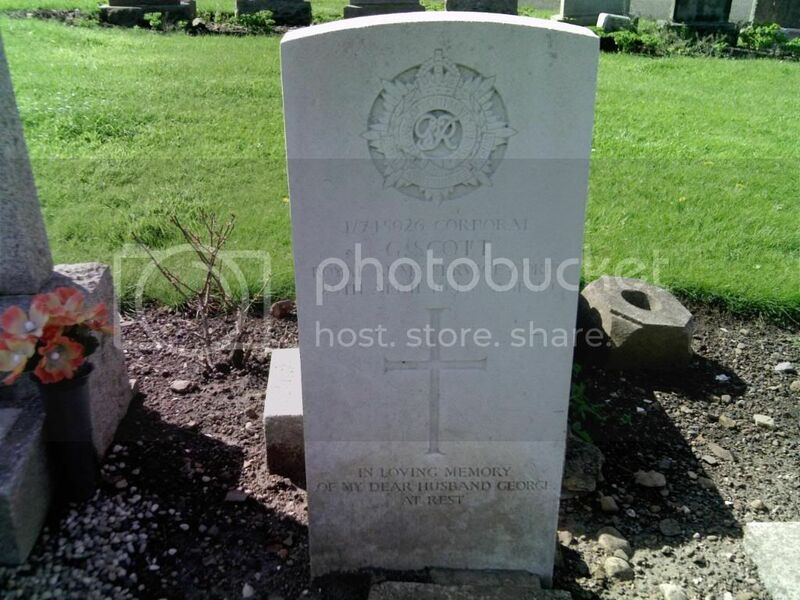 His brother Robert also died on service. Grave/Memorial Reference: Sec. N. Grave 431. Note that there are many stones damaged and on the ground. 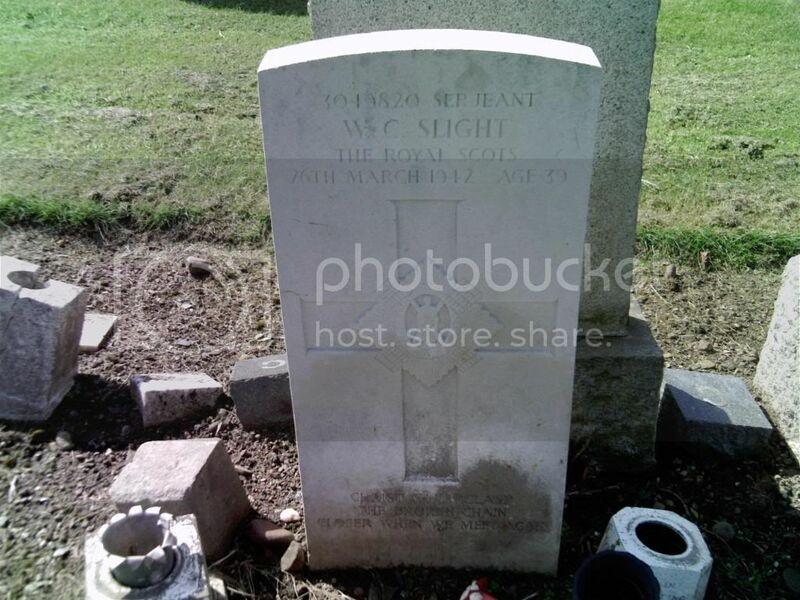 Most of the headstones lying flat (mostly with inscribed side upwards) were toppled by the council during a health and safety inspection that worked its way round many of the council-owned cemeteries. Any that failed their topple test were laid flat. In theory they are awaiting the families of the deceased to have the stone re-erected, or some wishful day that the Council can find the funds to do so.